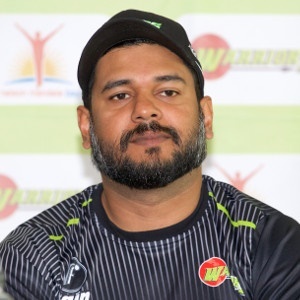 Cape Town - Warriors coach Rivash Gobind says they are viewing Saturday's final One-Day Cup regular season clash against the Cape Cobras in Port Elizabeth as a quarter-final. There is no other way to look at it, according to the home boss, whose side’s four successive losses has left the early season pace-setters needing to win their final game at St George's Park in order to end in the top four. The Eastern Cape franchise are presently fourth on the table and hold the aces going into round 10, including the possibility of still enjoying home advantage by virtue of ending second. But defeat to their Cape rivals coupled by a bonus point win for either the Knights or the Highveld Lions could be detrimental. "We're viewing it as a quarter-final," Gobind said. "We're very disappointed by the way we've played over the past two weeks. We've definitely let ourselves down, especially after the start we had to the competition. "But with us still having a chance and a good chance as such, you've got to somehow find the momentum or the switch to get going again and that's exactly what we're looking for. "Despite everything, we're still in a position where we could get a home semi-final and that destiny is in our hands, which is quite interesting considering we lost four in a row now. "It's probably testament to the way we played at the start the start of the competition. It's one game left." To be fair to the Warriors, their plans in recent games have been affected by the national call-ups of rising young stars Lutho Sipamla and Sinethemba Qeshile. But that was hardly an excuse for Gobind. "We're really excited about the national call-ups because it's something that we're always working for," he stated. "But with it does come challenges and opportunities. "It has opened the door for some others and it's now up to them to strive to be at the same standard as those that are missing. We know it takes a bit of time, but we need everyone to fire now." As for the Cobras, who put aside their inconsistencies to win their last game and progress to the knock-outs, Gobind added: "If you look at their group, there's a whole lot of experience there. They bring a lot more than just skill to the squad. "The Cobras are also chasing a home semi-final and that I'm sure will spur them on, so we’ll have to be ready for them." The visitors to PE did get the win they craved in midweek when they crushed the VKB Knights to secure their semis ticket. But as Gobind mentioned, there is still a home play-off spot to aim for and coach Ashwell Prince says they will not let up. "We had a good win, an important one to qualify for the knockouts," he said. "But it doesn't end there because now we have to try and push on to try and get a home semi-final. "That will depend on other results, but we need to fulfil our part by getting another win." Looking at the way the Warriors have done over the season, Prince said he was not surprised that they were still in contention. "It shows that if you get out of the blocks the way they did then you'll always be there and there abouts near the top," he added. "They had a wonderful start to the competition and it shows the importance of getting points on the board early on, so they deserve to be where they are." Fans are urged to head to the stadium for the final set of games as none of the three matches on Saturday will be televised.